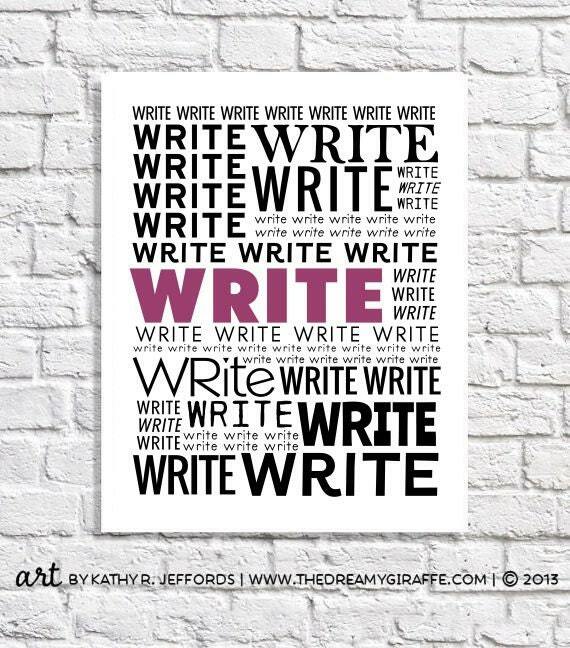 If this art print doesn't remind you to write...nothing will! And because choices are good, you can choose from nine accent colors, all of which give a nice, bright contrasting pop to the bold, black type. You can check out the color chart by clicking on the second thumbnail next to the main picture. © 2013, Kathy R. Jeffords. Copyright not transferable with sale.